You know who is delightful? Eleanor Brown. 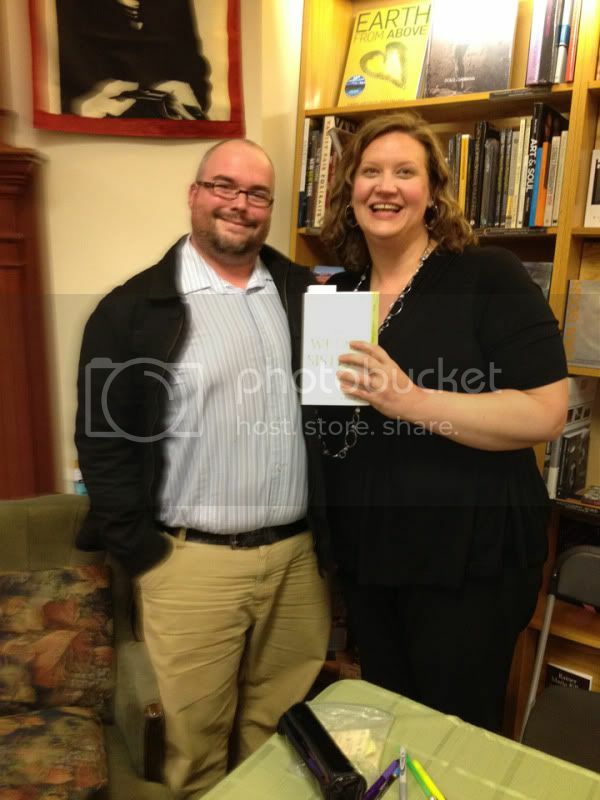 I had the opportunity to meet her week before last at my local book store, Schuler Books. I got a copy of The Weird Sisters when it was originally released last year, yet haven't gotten around to reading it. (I know. I hang my head in shame) I wanted to hear her speak about her book all the same, and I'm so glad that I did. I thoroughly loved her. She's funny, personable and an all around engaging person. I picked up a copy of the paperback edition of her book with the intention of giving it away on my blog, but have since discovered that my sister has been wanting it, so sorry kids, but family trumps blog. If you ever have a chance to meet her, don't miss that chance. You won't be disappointed. And needless to say, The Weird Sisters bounced right to the top of my TBR pile as a result of talking to her. You can check out her website here, follow her on Twitter here, or "Like" her on Facebook here. She sounds lovely, I also heard this reviewed on The Book Report (http://www.bookreportradio.com/) this week, and I have just started reading it, so far so good! I read this one earlier in the year and really enjoyed it! The sisterly dynamic was fascinated -- and I always love books about sisters. This would have been fun to listen to on audio!